Is my provider fobbing me off to install a smart meter? My energy firm has contacted me to say my meter needs updating for safety reasons but how can I find out if this is actually the case or not? I’m worried this is just an excuse for it to change my meter to a smart meter. Meter upgrade: How can I find out when my energy meter will need replacing? Rebecca Goodman, of This is Money, replies: We’ve heard from a few readers who have been contacted by their energy firm and told they need to get their energy meters replaced for safety reasons. At the same time as replacing an old meter, some readers have been offered an upgrade to a smart meter. This is because energy firms have a government target of 2020 in which they need to contact all eligible households about having one installed. When it comes to smart meters, it is up to the customer if they want one installed or not. Therefore, even if an energy firm is fixing or replacing an old energy meter, it’s still up to the customer if they want a smart meter. If an energy meter stops working, or needs to be replaced, the energy provider is responsible for fixing the problem or providing a replacement. It will usually contact the customer and give them details about arranging a replacement if one is needed. However, if there is an urgent problem, such as a gas leak, you should contact the National Gas Emergency Helpline on 0800 111 999 or if there’s a power cut you can contact the Distribution Network Operators free on 105. We approached a few experts within the energy market to tell us how you can find out the age of your meter, how often it needs replacin, and what to do if you need a new one. A spokesperson for Energy UK, the organisation which represents the energy providers, said: ‘Customers with any questions about their gas or electricity meters should contact their energy supplier. ‘They will have details of their meter type, when the meter was installed and when it is due for replacement. They will contact you about your meter and when it needs to be exchanged’. We asked British Gas what households should look out for. It told told us that for gas meters, because of the safety element involved, the time for replacing the meter comes via a risk-based decision, such as the meter model and installation date, and these are not published. There is a different system for electricity meters. If the meter was installed after 2006 it will be approved under what’s called the ‘Measuring Instrumentation Directive’. This means every six years samples will be taken from the meter and tested for accuracy. If these samples aren’t accurate, a new meter may be installed. Meters which were installed before this time have a pre-determined lifespan and when that expires they are replaced. On most meters a date is given which shows when they were installed – either in the serial number or within the meter itself. If you can’t find this you can just call your provider and as it. A British Gas spokesperson said: ‘We’ll let our customers know when the meters installed in their home become too old and need to be replaced, but they can always contact us if they have any concerns. An E.ON spokeperson added: ‘Keeping our customers safe is paramount and we follow strict guidelines to ensure all our meters are working safely and efficiently. ‘The lifespan of meters varies based on factors such as the make and model and we aim to check customers’ meters twice a year during meter reads and every two years for smart meters. ‘When a meter is nearing the end of its life we contact customers and notify them that their meter needs replacing for safety and legal reasons. 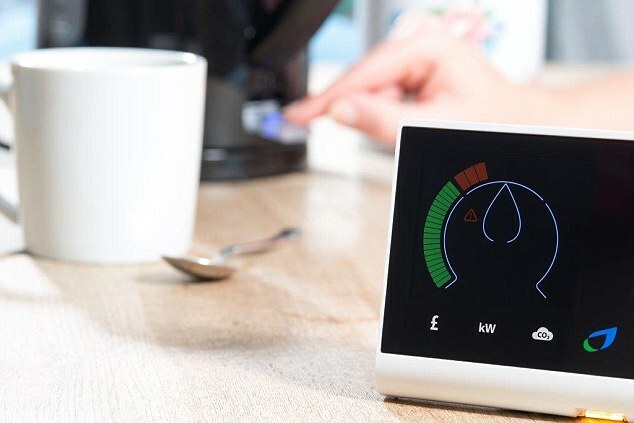 ‘Smart meters offer a number of significant benefits for customers, including bringing an end to estimated bills and helping customers gain a greater understanding of their energy use. ‘That’s why we often offer customers an upgrade to smart meter when their meter needs replacing. As some energy providers are offering smart meters when upgrading an older meter, we got in touch with Smart Energy GB, the organisation behind the smart meter roll out. Director of policy and communications at Smart Energy GB, Robert Cheesewright, said: ‘Energy suppliers have a statutory duty to let you know when your meter needs to be replaced. ‘Customers who need to have their old analogue meters replaced should use it as an opportunity to upgrade for free to a smart meter. ‘Smart meters are not compulsory but you are always better off with a smart meter instead of sticking with your outdated analogue meter. QUICK MONEY SAVER: CAN YOU CUT YOUR BILLS? 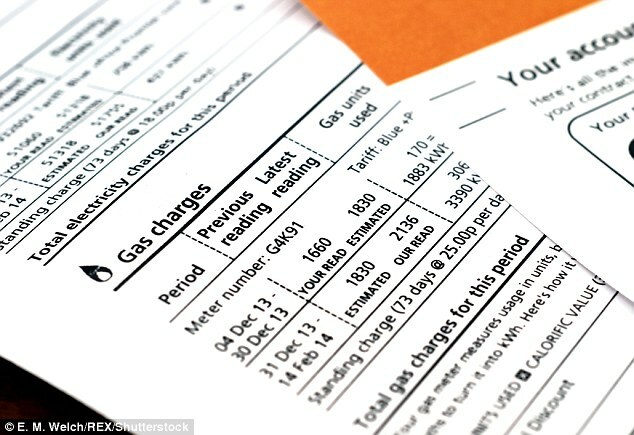 Energy firms are constantly battling to pinch customers from each other. Shrewd consumers can take advantage of this by reviewing deals every year to ensure they are on the cheapest deal. Even moving every other year will save you significant amounts. If you are one of the millions of people who have NEVER switched (i.e. stuck with your original supplier), then you should save a big chunk of cash. A tenth of switchers saved as much as £537 in 2017, according to energyhelpline. You only need to be interested in the tariff that is going to be cheapest where you live, so do your own postcode comparison in minutes using the tool above – or here – to find the best price.